Java Enum, Enumeration is a feature and data type that will have a fixed number of values. For example Number of days in a week, this enumeration in Java was started in JDK 1.5 and it is one of the excellent feature of Java among generics, autoboxing, unboxing. 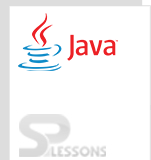 Actually Enumeration was not available Java, originally it was in C and C++ languages. Enumeration provides better type safety, it will have methods and constructors. Java Enum has the ability to implement more interfaces, but it cannot extend class why because it internally uses the enum class. Java Enum, following is an simple enum example to understand the purpose. While creating an Enum Java compiler internally uses the values() method that returns an array containing all the values of the enum. When compile the code result will be as follows. For more detailed overview on array click here . Enum is similar to class so enum can be defined inside the class and outside the class. Following is an example to define the enum outside class. Where the developer defined enum outside the class. Now compile the code result will be as follows. Following is an example to define the enum inside class. Here the developer defined enum inside the class as follows. Where the semicolon is an optional. An array is a collection of homogeneous elements. An array shares a same name with different index number, which starts from zero. An array is reference type. An enums are collection of constants, which are recognized with string constants. Enum is freely used in Switch case.